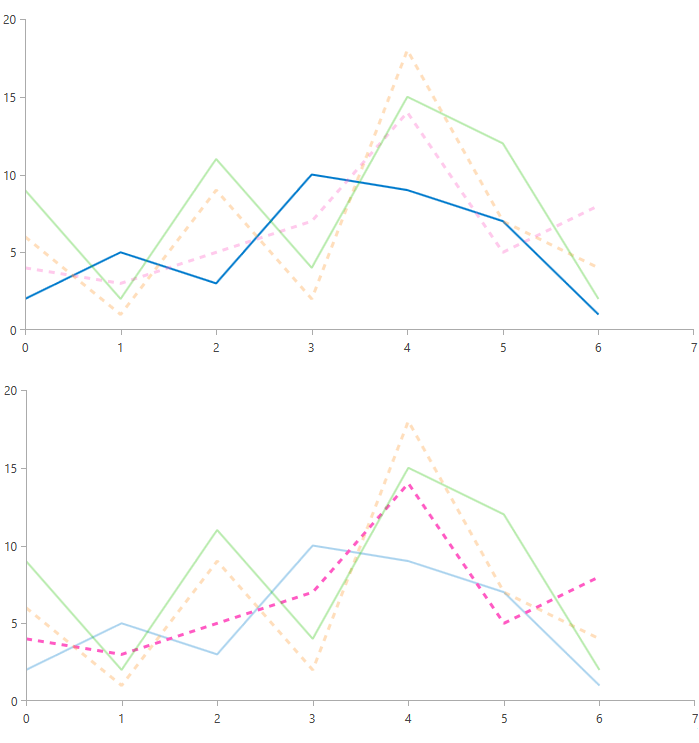 The different charts from the RadChartView suite expose a property called HoverMode which controls whether the rest of the series will fade out when a certain series is hovered. It is useful in situations with many overlapping series and has two possible values: FadeOtherSeries and None. The default value is None. This article will demonstrate this property with a RadCartesianChart. The following example demonstrates how to set up a RadCartesianChart and set its HoverMode. In the case of the RadPieChart, when the HoverMode property is set, all of the slices fade out except the hovered one.